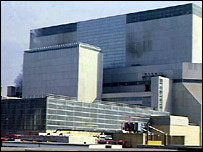 British Energy has been given permission from the Nuclear Installations Inspectorate (NII) to restart reactor 4 at Hinkley Point B. The company also expects to be granted permission to restart a second unit at Hinkley B and two units at Hunterston B, Ayrshire, over the next few weeks. The four had been shutdown for inspection, repair and safety work related to boiler tube cracking issues. They were closed last summer to allow the work to take place. Earlier this month British Energy was granted safety approval to continue operating the two nuclear power plants for a further 10 years. Extension of the operating licence is subject to the completion of some remedial work at both plants. The company has agreed to a £4.5m programme of work with the NII.